In my last post, I looked at Plato’s Republic and the standard he set for a truly objective moral foundation, one that can defeat Thrasymachean nihilism. In particular, I highlighted four items that he asserted were necessary: 1) a transcendent standard; 2) a standard that is recognizably good; 3) a standard people can know; and 4) a standard people are able to adhere to. For Plato, if any of these items is missing, nihilism wins. I also argued that, while Plato’s understanding of the requirements for a foundation for ethics was correct, his details for them were not. Instead, classical theism (in general) and Judeo-Christian theology (in particular) can provide a solid foundation for morality, hopefully in a way that Plato would have appreciated. In this post, I’ll take a look at how Judeo-Christian theism meets Plato’s four requirements for a truly objective morality. In significant strands of Judeo-Christian thought, God is the Good. Like Plato’s Form of the Good, God is the ontological source of everything else. Goodness is established in His character and grounded in His immutable nature. Being loving is good because it is God’s unchanging nature to love. Grace, mercy, honesty, and patience are all good because they are eternal character traits of God. 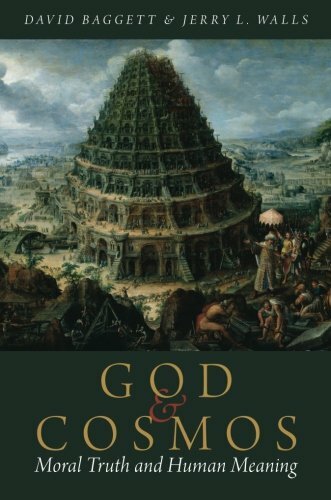 The Christian Platonic theistic ethicist who has made this case most powerfully in recent decades is, of course, Robert Adams, in his seminal Finite and Infinite Goods. God and God’s nature, Platonically understood, are the successors of the evaluative Forms and of the Good itself, and not merely are they successors, but they indicate metaphysical progress, for goodness looks like a quality, though Plato, as Aristotle realized, needs his forms to be substances. Unless goodness is substantiated in and as some sort of “good thing,” it appears to be an ungrounded quality, and hence incapable of doing the philosophical work for which it was proposed. There is, accordingly, a good which alone is simple and, therefore, which alone is unchangeable—and this is God. This good has created all goods. There’s another theoretical advantage here. 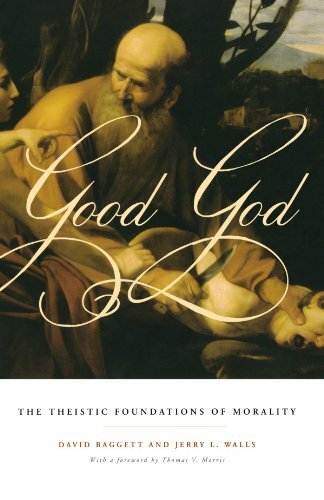 If there is such a thing as “the Good,” God’s being the Good makes sense of “the Good” being good, morally and metaphysically, unlike any merely abstract object—causally inert, impersonal, and unable to be good. “God is good,” then, obtains, both as an “is of predication” and “is of identity.” Another way to put it is in terms of the de re / de dicto distinction. “God is good” obtains both de dicto (the proposition is necessarily true in virtue of the requirements of the office of Deity) and de re (God himself is good—necessarily, essentially, perfectly). In the knowable the last thing to be seen, and that with considerable effort, is the idea of the good; but once seen, it must be concluded that this is in fact the cause of all that is right and fair in everything. From Isaiah, we see the biblical perspective that rational creatures in God’s presence immediately recognize (and constantly proclaim) that He is good (which is one aspect of being holy). Along with this rational response, we also see emotional responses: the unfallen angels adore and worship God for His goodness and fallen man immediately realizes that he fails to meet this perfect standard of goodness. This is not to say that God’s goodness will always be easily reconcilable with our clearest moral intuitions. Old Testament conquest narratives, for example, can be difficult on occasion to square with such intuitions. But difficulty is not the same as impossibility, and even the difficulty may not be as bad as many think, as Matthew Flannagan and Paul Copan have argued persuasively in Did God Really Command Genocide? (chapters of which are summarized, one per Monday, on this site). For Plato, man, as rational animal, had the right faculties to know the Good (at least theoretically). Through recollection, right opinion, or through the hard work of philosophy, man has the ability to seek and comprehend the Good. In the Judeo-Christian world, it is the Imago Dei (image of God) that gives men and women the power to know God/the Good: God created man in His own image, in the image of God He created them; male and female He created them. (Genesis 1:27) The image of God in man provides the foundation for us to be rational agents. Interestingly, both Plato and Judeo-Christian theism agree that while mankind has the ability to know God/the Good, this knowledge is generally limited and corrupted. For Plato, the process of the rebirth of the soul into a new body makes one forget what one has learned in the spiritual realm. This knowledge must be reconstructed via recollection, or right opinion must be converted to true knowledge via philosophy. As we can discern from the training Plato required for the guardians in The Republic, this is an arduous task that requires proper conditioning and training from a very young age. In Judeo-Christian theology, the fall of man has left him with rational faculties through which he can know God, but, by default, that knowledge is superficial and subject to corruption. Humankind can increase its knowledge of God both through general revelation and special revelation (the Tanach, or Hebrew Bible, in Judaism, and the Old and New Testaments for Christianity). While God can only be known in detail through special revelation, general revelation is enough to provide mankind with a rudimentary knowledge of God and of morality. For both Plato and the Judeo-Christian theist, knowledge of The Good is possible, but it requires effort both rationally and emotionally to acquire and apply. For Plato, the tripartite nature of the soul gives humans the ability to be moral (or immoral) agents. The head (rational element) allows people to know the right thing to do and the chest (spirited element/will) provides the power to do what is right. If these two are aligned in a just fashion, then people can and will act in a moral way. If however, the belly (bodily desires) becomes the guiding source for the chest instead of the head, then men will act in carnal and unjust ways. Further, Plato the philosopher says that the end is twofold: that which is communicable, and exists first in the ideal forms themselves, which he also calls “the good”; and that which partakes of it, and receives its likeness from it, as is the case in the men who appropriate virtue and true philosophy. Plato was an amazing philosopher, and he had a deep understanding of the requirements for a truly objective morality; however, the details of his view on how these might actually be fulfilled were flawed. Classical theism provides a foundation for objective morality that arguably meets Plato’s four criteria in a way that would have both felt familiar to him, while also serving as a needed corrective on certain key issues his worldview was not able to address. Judeo-Christian ethics rests on a foundation that is transcendent, recognizably good, knowable, and that humans, with God’s assistance, can obey. This is obviously just a sketch of such an argument, but if it works, classical theism can defeat Thrasymachean nihilism in a way that other systems, especially naturalistic ones, cannot. But, given this foundation, why should people be moral? In the next posts I’ll look at Platonic moral motivation and its corollaries in classical theism. John Rist, Real Ethics: Reconsidering the Foundations of Morality, p. 38. St. Augustine, The City of God, Chapter X.
 Plato, The Republic, Book VII, 517c. If you are not familiar with The Republic, Plato spends a great deal of time talking about what type of education is required for the guardians and philosopher kings. This starts in their early youth as they are conditioned to love the right kinds of things and continues for decades with training in music, gymnastics, mathematics, and other subjects. Without this extensive and arduous training it is doubtful that one can come to know the good in the necessary way. This helps us see that the ultimate Good includes but is not exhausted by the Moral Good. As discussed in the first post in this series and fortified here, Plato is an excellent source for seeing how much man can determine about God and morality solely from general revelation. Precisely how much ability mankind has is obviously a matter of debate. In the Judeo-Christian world there is a range of opinions on how much moral ability humans actually have. I think that most would agree, however, that most people in a certain circumstance can choose to either do or refrain from doing particular moral acts based upon their moral knowledge. Editor's Note: This site is firmly committed to the view that God’s grace is operative in all (prevenient grace in the case of unbelievers), that such grace is resistible, and that such grace is needed to do good. We affirm total depravity, but reject unconditional election, limited atonement, and irresistible grace. Clement of Alexandria, The Stromata, Book II, Chapter XXII.